TapBot’s TweetBot isn’t the most affordable Twitter client on iOS, but the download is definitely worth every cent, at least as far as I’m concerned. 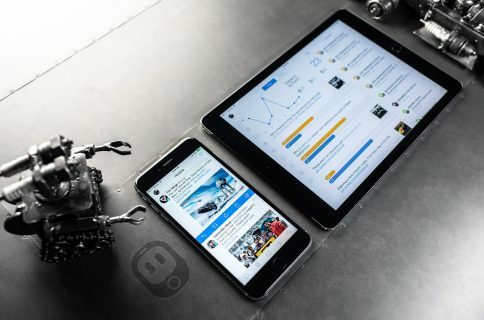 And with Twitter killing off its TweetDeck software on iOS, Android and AIR platforms beginning May 7, the selection of free Twitter clients on the App Store is about to become a little less comprehensive. The biggest news in TweetBot 2.7 is Media Timeline, an all-new feature that filters your timeline by listing only video and image content your followers tweeted out. You can switch to your Media Timeline by scrolling to the top of a timeline and hitting the new rightmost button, right next to the search box. The other button lets you switch back to the normal list view of your timeline. Here’s a nice screenshot, via MacStories. 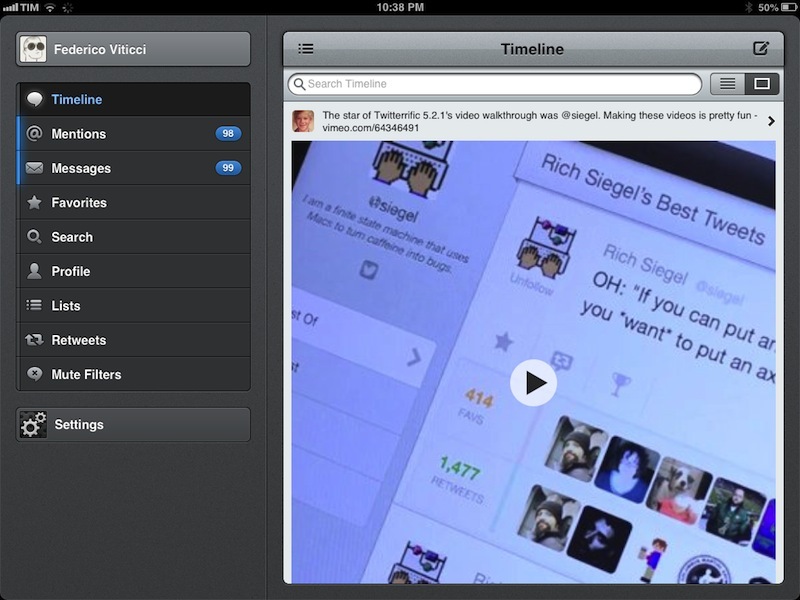 The screenshot top of post depicts Media Timeline in the iPad edition of TweetBot. 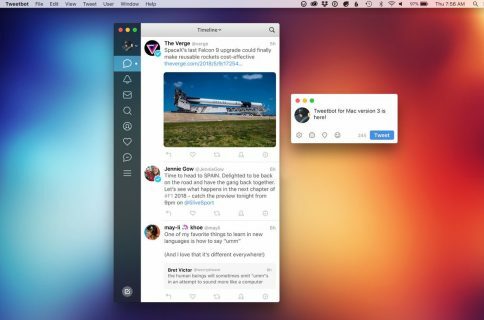 MacStories editor Federico Viticci spent some hands-on time with the new TweetBot. 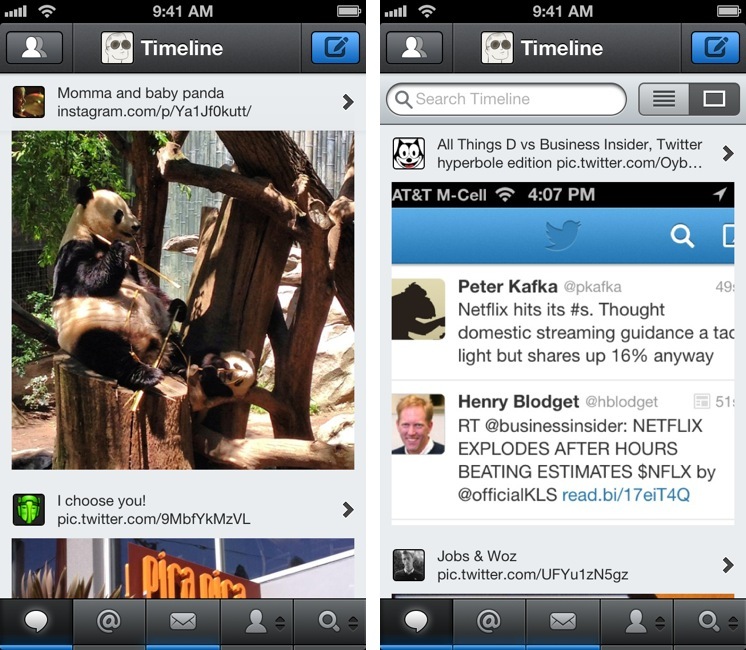 Overall, I’m a fan of the new Media Timeline. 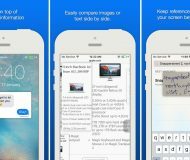 It makes scrolling through photos a more relaxed, visual experience that is well distinct from Tweetbot’s more option-rich regular timeline. His only gripe with the feature is that it sometimes cuts off longer tweets in order to keep the same size of tweets across the entire timeline. You also can’t tap on avatars to open their timeline and are required to open the image first and then tap and hold to bring up the contextual menu, as opposed to simply tapping and holding on the inline preview. The image viewer itself has been redone and now behaves much like in the Mac edition of TweetBot, down to the loading indicator. Specifically, you can now dismiss images with a vertical swipe, in addition to reaching out to the Back button in the top left corner, as before. Other changes in this release of TweetBot include fixed Instagram previews, “various other bug fixes” and the tweet detail view now displaying the number of Favs and Retweets, something I’ve been yearning for for a long time.